1.) 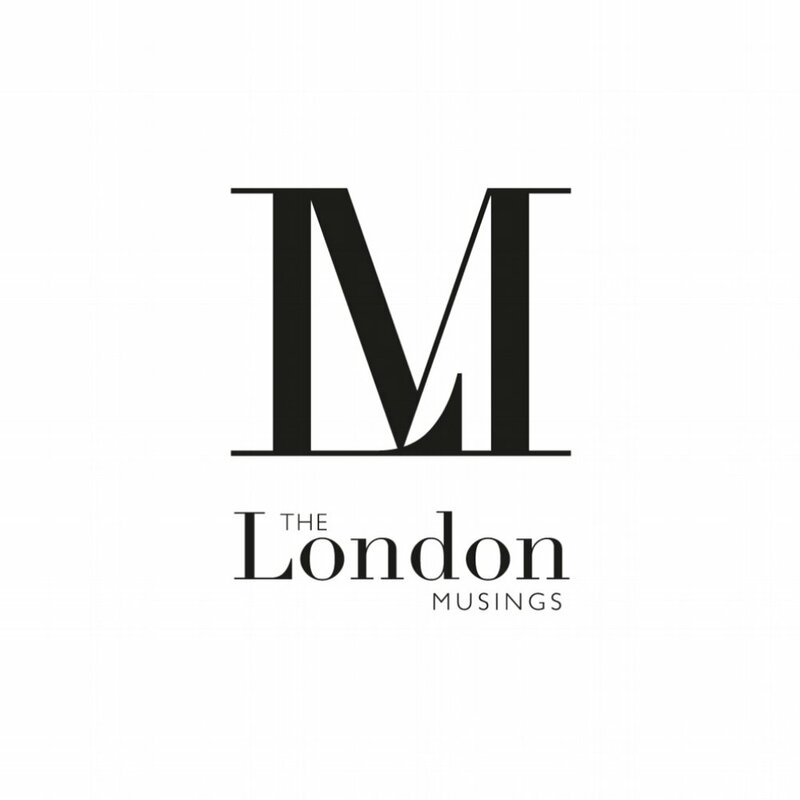 Good morning Aldwyn, welcome to The London Musings! I must start by asking you: what inspired you to start Aldwyn & Sons? Feeling disillusioned with my former role in the financial sector, I bravely handed in my notice in pursuit of my ambitions to start my own business. The idea for Aldwyn & Sons came from a typical moment of uncertainty. I was driving down Battersea Park Road with my Mother, knowing how my feet needed some attention. Passing a nail bar, I knew there was an answer in there, but in no way would I step across the threshold – I felt I would be laughed out of the door! My next thought was ‘where could I go and feel comfortable?’ and I knew I could not be alone in this – I am active, I play a fair amount of sport, and am tall enough that extensive footcare at home is tedious and therefore my feet go ignored and unloved. A nail salon really wasn’t for me and there was little else on the market to address my unsightly, coarse and at times uncomfortable feet. After much training and plenty more market research, I quickly became a pedicurist with a vision, rather than a businessman with big pedicurist brand in mind. 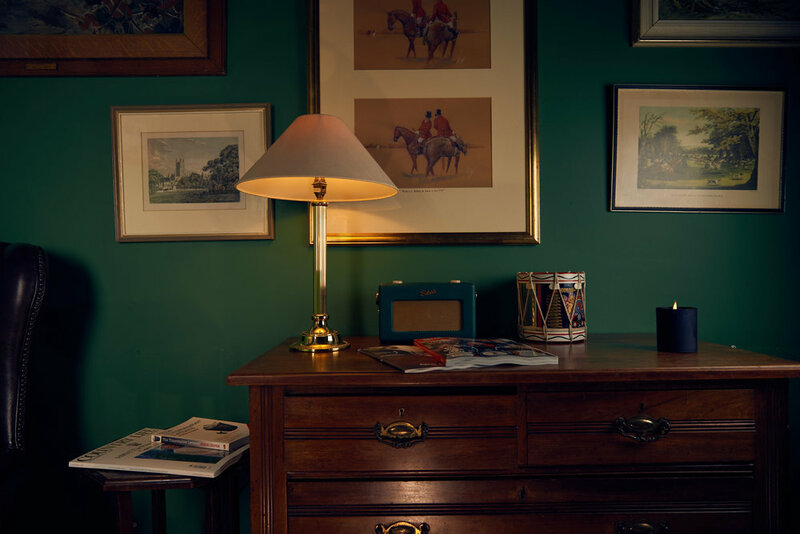 Aldwyn & Sons was born and threw open its doors for the very first time in November 2018 in London’s fine Fitzrovia, finding home in a ‘speakeasy’ style room at the back of a barbershop, with décor inspired by an English Gentleman’s library. 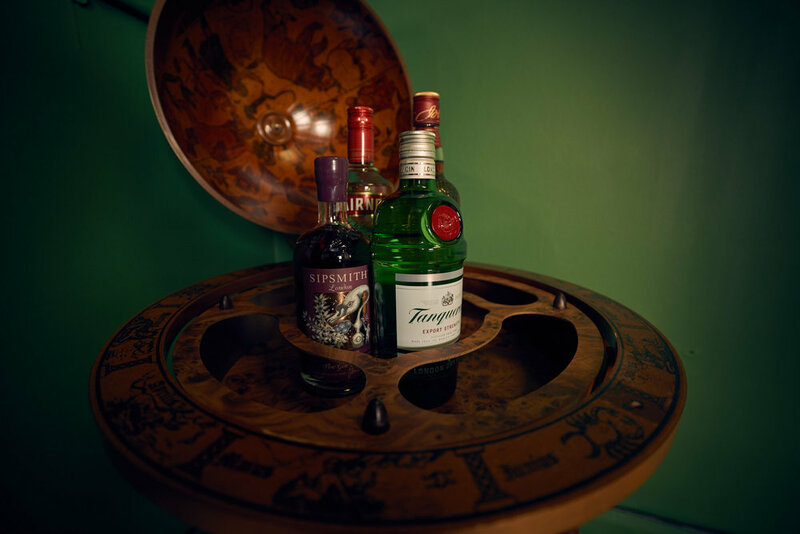 The unique space can be found at the back of the acclaimed Sharps Barber & Shop on 9 Windmill Street, London and offers a menu of manicure and pedicure treatments, totally tailored for the modern man. 2.) Aside from being the UK’s first and only gentleman’s pedicure room, what makes Aldwyn & Sons unique? Aldwyn & Sons has a unique mission which is to make beauty and wellness treatments more comfortable for men. To me, it is more about bringing new products and services to men’s attention that are traditionally seen as only for the female market. As men become more open to looking after their appearance and their wellbeing, everything that I aim to do is shaped by the male consumer and is made for them. 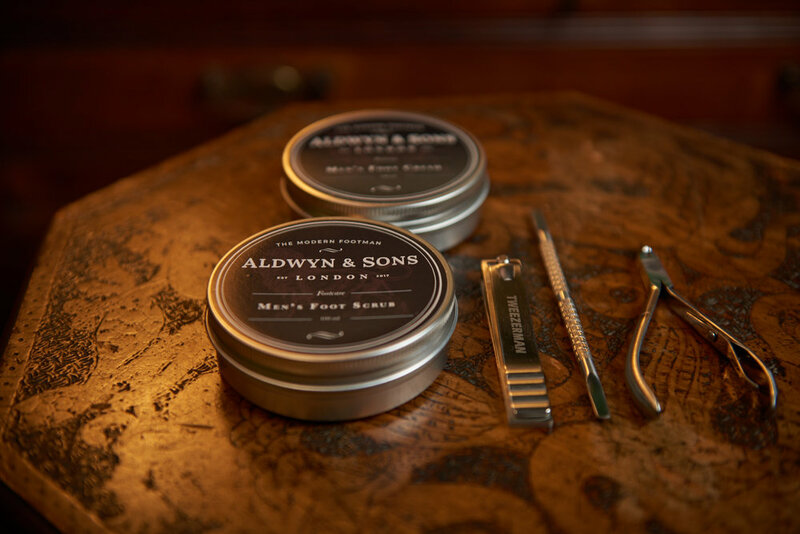 Aldwyn & Sons encourages men to come and put their feet up, in a relaxing setting, with the core belief that all men should look after their feet, as the results affect overall health from head to toe. 3.) Who would you most love to get into the chair and why? I have been lucky enough to have some really fascinating people in my chair. One person, who I am following closely at the moment is a Speaker in the House of Commons. I find him very amusing, but also believe he has a very interesting role in politics. I studied politics at school and have always followed it closely since. I would have to point out that I am more interested in its dynamics, than having my own opinion. I do have my opinions, but was taught not to air them publicly! 4.) What keeps your customers coming back again and again? Customers enjoy the privacy and tranquillity of my treatment room. I am hidden away in the back of a Barber & Coffee Shop, where the dynamic changes from Hip Barber to Gentleman’s corridor and classical library-esque. The environment is set out so that men can enjoy having some ‘me’ time and taking time out of their day to treat themselves. There are complimentary refreshments and having your feet and hands treated is hardly something to complain about! Walking out with a spring in your step is a feeling worth repeating! 5.) What are your three top tips for toenail grooming? Check your feet for anything that doesn’t look right. Be quick to resolve anything that looks or feels out of place. Often these things can quickly become a bigger problem. Do not cut your toenails too short or rip them off. They can be uncomfortable, but they risk getting a lot worse if not cut properly. Moisturising dry areas can provide greater comfort, and greatly improve the appearance of your feet too. 6.) Prior to Aldwyn & Sons, what were you up to work wise? 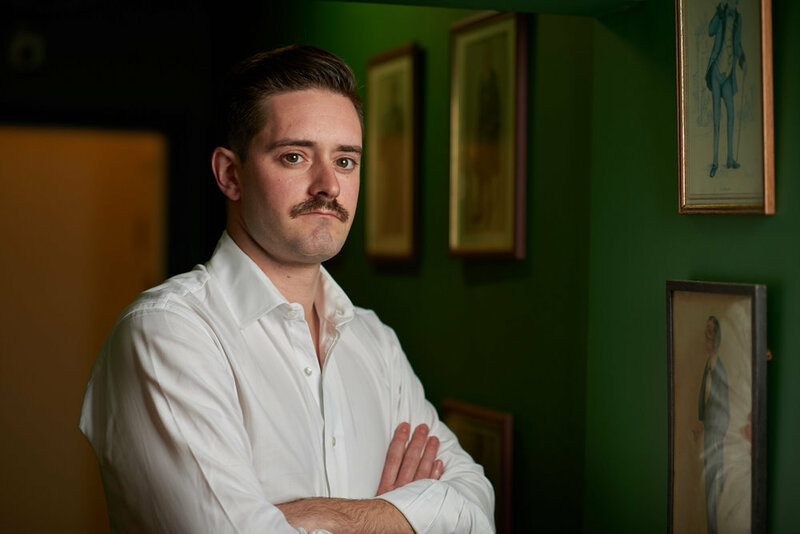 I founded the business at the age of 28 after becoming one the country’s few male pedicurists and following a career in the financial sector. As an Old Etonian, it is not what you may say is a stereotypical path! I originally studied Surveying at the Royal Agricultural College and during this time, had a role building dancefloors and staging. Despite a steady income, I had his sights set on a career in the finance sector and after graduating, landed a role in currency broking and later, futures trading. My end goal was to enter the world of wealth management, and after finishing my CISI exams, the only job I was offered was in a regional office in Truro! By chance, I was introduced to Andrew Turnbull, co-founder of Wellesley & Co, who was on the cusp of launching of his own peer-to-peer lending platform. A case of right time, right place, I snapped up the chance to be at the forefront of this pioneering venture and grasped with both hands the opportunity to work alongside an inspiring entrepreneur, who fast became a great mentor. I quickly progressed through the ranks from starting as an associate in November 2013 to my final appointment as Head of Marketing, a pivotal role that saw me build a team that raised over £500 million of investment. 7.) What does your typical working day look like? I am much more of a morning person, so wake early every day. I will go for a run, shower and eat and then read the paper on my commute into the city. I arrive at the shop before 9am and then I am open for business. Appointments vary day-to-day. I constantly make lists of things to do when I am not with clients, and spend my time working through them outside of appointments. I try to have a coffee in the Barbershop with the barbers for some banter when I have time. I am open until 7/8 in the evening (depending on day) and once I am all done for the day, I tend to head back home and do the Evening Standard Crossword, (its relatively straightforward), but has become a bit of a routine. 8.) What advice do you have for budding entrepreneurs looking to leave their job to pursue their own business venture? It is similar to the advice you would give someone looking to renovate a property. Look at your costings, and then double them; look at your timings, and then double them. There is ambition and drive, but it is so important to take every day as it comes and learn from everything that happens. The best advice I was given was that you have to slow down to speed up. Realise impacts, discover insights and then act. Do not jump to conclusions! If you believe in your gut that you can make a difference with your new idea, then once you have a clear road map, you can work out at what point you need to jump ship from your current job. In the meantime, spend all your spare time gathering insight and getting feedback on your idea and plans. 9.) When you’re not busy working, where can you be found in London and what will you be up to? When I am not busy working, you will find me spending time with my son or following Fulham FC around the country. I live in Earlsfield and enjoy spending downtime in Richmond and around South West London. I try and spend a lot of weekends outside of the city as I have a lot of friends who live in the West Country. I find it a lot easier to relax in the countryside. 10.) What’s next for Aldywn & Sons? This year, I am hoping to see the business open its own shop. There are plenty of opportunities for me to act on what I have learnt so far and so onwards and upwards really! I have some really exciting ideas that I will be looking to expand on and hopefully get to action. The beauty is the unknown. Thankfully, Brexit will not affect the need for men to get pedicures! For more information on Aldwyn & Sons, visit: www.aldwynsons.co.uk or follow on social at @aldwynsons on Instagram and Facebook and @modernfootman on Twitter.